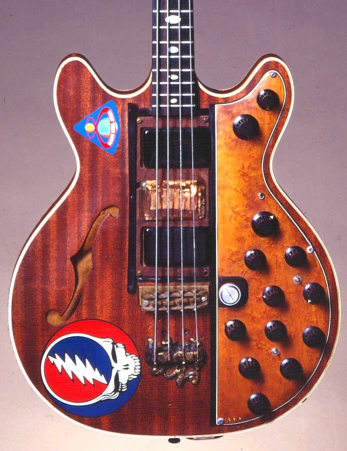 In the early 1970's, Phil Lesh of the Grateful Dead had his heavily modified Gibson EB3 stolen. His next bass, dubbed "The Godfather" was a walnut Guild Starfire with three Alembic pickups, including a quad pickup with four outputs for each string. Lesh added an Alembic "Superfilter" and other electronics, replaced the headstock, replaced the pickguard with a large one for the 14 different knobs and packed foam rubber into the Starfire's body to help eliminate feedback from the hollow body.